Enjoy days filled with play at Cumberland Harbour. 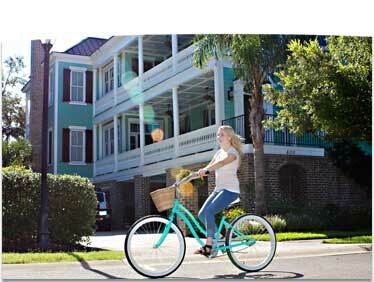 Cruiser bike to the pools, or ride along the live oak canopied forest. Join friends at the Springhouse for drinks. Every day has moments of play living at Cumberland Harbour. Enjoy time in nature at Cumberland Harbour. Sit back, relax and make yourself at home. The subtropical climate and gentle sea breezes greet you. Take a leisurely stroll, or enjoy time in the community gardens. Spend the day shelling on the beach, experiencing historic villages, fishing off the dock or kayaking along the salt marshes. Find new discoveries every day living at Cumberland Harbour. Cumberland Harbour is set on a 1,100 acre maritime peninsula surrounded by the St. Marys River, The North River, and the Intracoastal Waterway with direct access to the Atlantic Ocean and Cumberland Island National Seashore. Designed with nature in mind, Cumberland Harbour is a delight to the senses. Experience why Cumberland Harbour is the ideal place to play, relax and explore. Cumberland Harbour, Home of a previous HGTV Dream Home, takes great pride in building beautiful, quality homes. The grace of the low-country and the openness of coastal design unite to create a place of striking architecture. Cumberland Harbour is set in the historic seaside city of St Marys, the second oldest city in the United States, described as one of the most charming seaside cities in the South. 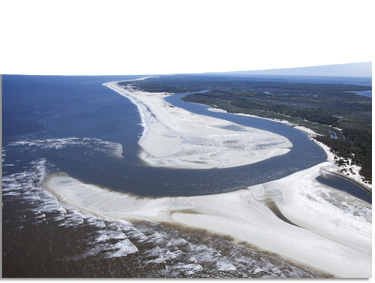 St. Marys is also home to the majestic Cumberland Island National Seashore.